A few months back we made a visit to the National Library to have a look at a few historical books of interest relating to pubs. One of these was the 1949 guide to Irish pubs simply called ‘Where to drink’. The book goes into very good detail on the various well known pubs of each city and country, including on a street by street basis in Dublin. It also covers the suburban areas of the city and what were once the small villages of Blanchardstown, Swords, and others. Some pubs of the time elected to take out advertisements in the book, as presumably pub enthusiasts would be buying this book and using it to decide where to go for a drink in certain areas. 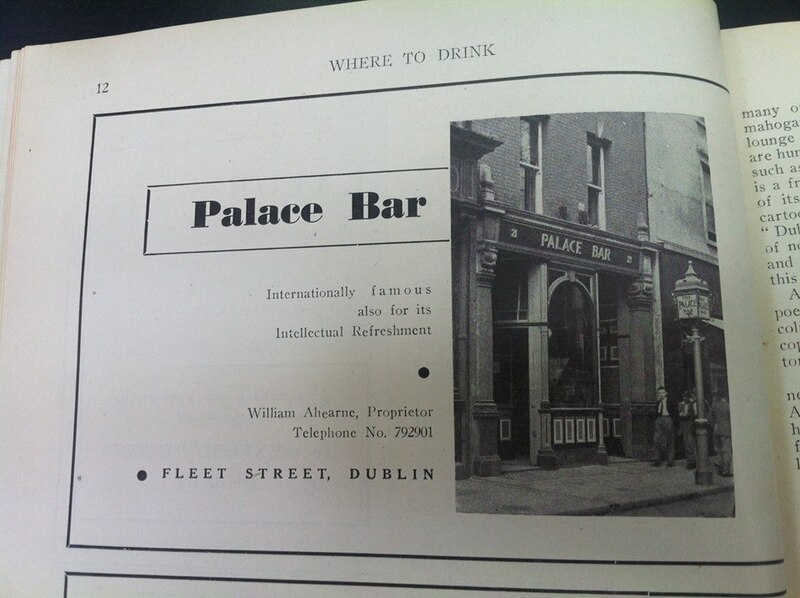 One such advertisement is for The Palace Bar on Fleet Street. It proclaims that it is ‘Internationally famous also for its Intellectual Refreshment’. This of course refers to the pub’s reputation as a meeting place for journalists, poets, novelists and other high thinkers. One of these literary figures was Flann O’Brien, who also wrote under the name ‘Myles na gCopaleen’. Myles actually wrote the foreword for this book. 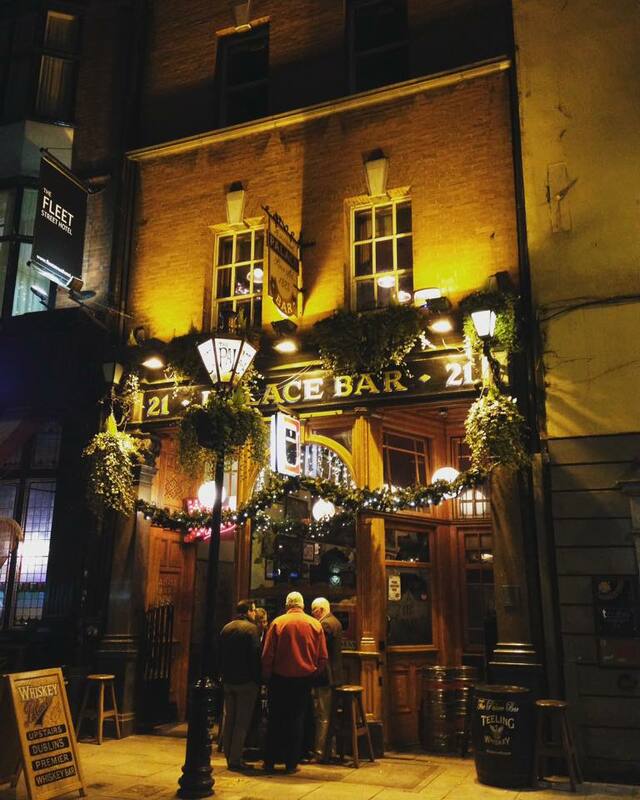 O’Brien/nc gCopaleen was no stranger to the pubs of Dublin so was well equipped to introduce the topic. It appears from the advertisement that the only thing that has really changed in 69 years is the phone number. The front of the bar looks much the same (notice the map is of a different style), retaining all of its character, and the interior has hardly changed at all. To add to that, if they were to run a similar advertisement today they wouldn’t have to change the proprietors name. 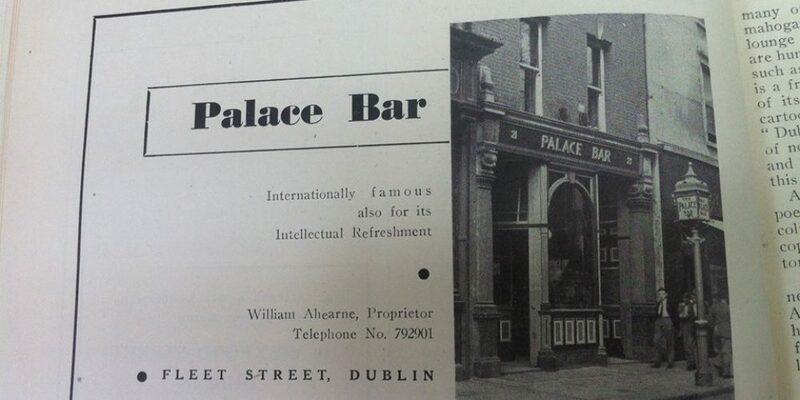 William Aherne’s grandson Willie now owns and operates this family pub!